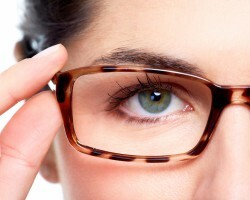 At USA Eyeglasses Repair, we specialize in expert eyewear repair. We are 100% confident in the work. Don’t purchase another pair of expensive reading glasses or sunglasses , visit any USA Eyeglasses Repair store, we will help you get them fixed. 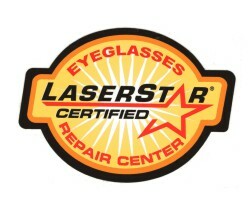 The visibility of a laser repair will depend on a few variables. 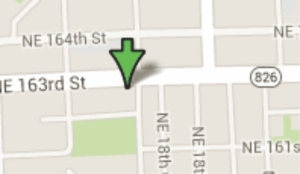 The repair is highly localized to the area of the break. If the break occurred in a concealed, small area, it will not be noticeable except by the closest scrutiny. The color of the final repair is typically grayish or silverish in tone. If your frames are yellow toned (i.e. gold plated) the technician will use some material that will make the repaired area appear somewhat yellow. 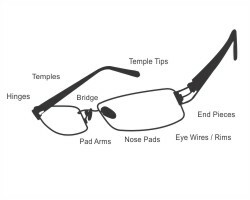 Consequently, you can expect that frames with a neutral gray/silver coloration will be very difficult to see. Specialty colors and tones may contrast more and be visible. We are unable to restore the original plating of your eyeglasses. 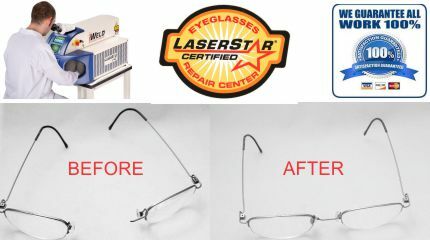 All laser welding repairs made by qualified certified laser repair technician.